Policy and governance are most effective when idealism morphs into realism to tackle challenges and go after opportunities in the real world, while also aspiring for utopia. It is in the middle ground between these poles where effective governance happens. Thus, Imran Khan’s announcement that Pakistan would grant citizenship to refugees of Afghan and Bangladeshi origin should be seen in the same vein as his other policy decisions since his victory, many of which he has backtracked on. Atif Mian’s resignation from the Economic Advisory Committee is a case in point. The decision to oust him was a solid one politically, because the far right’s virulent opposition and the political cost associated with that outweighed whatever economic advice Mian could give to the prime minister. In the end, realpolitik won over idealism. Granting citizenship to the Afghan and Bengali refugees born in this country is a lofty ideal; an emulation of progressive countries where the semblance of human dignity and the concept of fundamental human rights triumphs all national or patriotic values. Any person born within the geographical confines of most European countries or the US is automatically granted citizenship. Pakistanis, however, are a hyper reactionary and jingoistic lot whose notion of Pakistaniat cannot extend to Bengalis and Afghans. 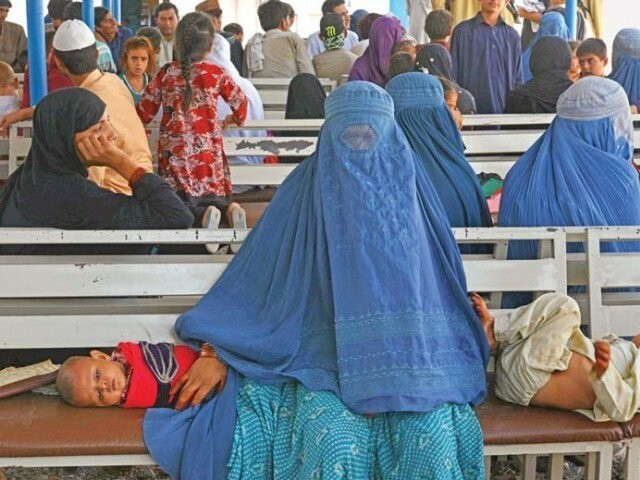 The military in particular sees the vast majority of Afghan refugees as a security threat that can turn against Pakistan at any time, and blames them for being involved in heinous crimes and terrorism. The Afghans are also seen as a bargaining chip to be used against Afghanistan, for if relations between the two countries go drastically south, over a million refugees could be returned to Afghanistan, which would result in a crisis of biblical proportions. I don’t understand how the logistics of such a move would be possible, but I’m sure the Pakistani Army high command would have certainly considered this move. Over 600,000 Afghans have already been forcibly repatriated to Afghanistan since July 2016 in the midst of a crackdown. While Bengalis are not viewed with the same level of suspicion, they are regarded as traitors to the idea of the Two-Nation Theory by certain segments. Though generations have lived here since the birth of our nation, the formation of Bangladesh after the abuse and racism suffered by those living in East Pakistan has made Pakistani Bengalis an anathema to ‘true’ Pakistanis. The vast majority of Pakistani Bengalis live in Karachi in shanty towns such as Machar Colony, Musa Colony or Chittagong Colony. They live lives of despair and misery, finding it hard to get jobs legally or even open bank accounts, since they don’t have national identity cards. Bengali settlers have been in Karachi since the early 20th century, but the ones we are concerned about moved from East Pakistan after 1947, or moved to urban areas in Sindh after the debacle of 1971, due to poverty. This continuous migration crossed the 2.5 million mark during Benazir Bhutto’s government in 1995, and now the number would be anywhere from 3.5 to 4 million. Admittedly, these Bengalis are a drain on the limited resources we have to offer, but the country itself would not have been created had it not been for their struggle. If we really believe in the idea of the Two-Nation Theory, then Pakistan should be a refuge for all Muslims in the subcontinent, especially the Bengalis. After all, there is no other home for Bengali Muslims who support the creation of Pakistan, since Bangladesh doesn’t want them either due to their political leanings. To this day, Sheikh Hasina’s government is punishing Bengalis who harbour loyalty towards Pakistan. We chafe at the treatment of Rohingya Muslims, but the Myanmar government has a pretext for their persecution. Much like the Pakistani government, it does not consider them citizens of Myanmar but as refugees who need to be returned to Bangladesh even though they have been living in Myanmar for the past 200 years. It is very easy to express outrage at the treatment of Mexicans in the US, but much harder to look inwards and see what kind of views we espouse towards and the treatment we mete out to refugees. Granted, many Afghan refugees don’t have any love lost for Pakistan; they don’t even particularly like living here, but do so out of compulsion of livelihood or family ties, and more importantly, because Pakistan is more peaceful than Afghanistan. They face extortion, arbitrary detention and nocturnal police raids on a daily basis. Urban Pakistanis blame them for the onset of the heroin and Kalashnikov culture. Moreover, many of them are not even registered in any database, having crossed over illegally. But if their children are born in this country, the principle of Jus Soli or right of the soil applies to them. Interestingly, only 30 out of 196 countries practice the right of unrestricted Jus Soli. What is even more interesting is that Pakistan is one of the few countries which grants this right, as people born within the geographical boundaries of the country are automatically citizens. Thus, it is a gross violation of Pakistan’s Constitution if citizenship has been denied thus far to any of the documented refugees born in this country. Imran did not put forth a novel idea when he spoke about granting them citizenship. He merely suggested we implement Pakistan’s Constitution – specifically the Citizenship Act of 1951. Imran has rightly pointed out that if we do not do anything for these refugees, their population, which will multiply overtime, would become a huge burden for Pakistan, especially for Karachi where most of them live. These refugees cannot get legal employment, cannot open a business or bank account, and cannot gain access to higher education. If they cannot get normal jobs, then realistically the youth will be more inclined towards criminal activities, which is why Karachi has a high street crime rate. It is quite nauseating if one thinks about it: these people might have spent their entire lives in Pakistan, never having stepped foot in Afghanistan or Bangladesh, but since they are not legitimate citizens of the country, they can be tossed out anytime. How can you send them back to a place where they have never lived? Other than this humanitarian notion of citizenship for these downtrodden refugees, Imran may also have an ulterior motive. Over 3 to 5 million people of Bengali ancestry live in Pakistan, mainly in Karachi. If we include undocumented Afghans, the total number of Afghans living in Pakistan may be anywhere from 3 to 4 million. Let’s suppose that out of all of them, 50% were born here. If citizenship is granted to these refugees, then 3 to 4.5 million new minted citizens can form a significant voting bloc, and it is more than likely they would vote for the party which granted them citizenship. If this really happens, then Karachi would always be a home run for the Pakistan Tehreek-e-Insaf (PTI). It is expected of the opposition to create noise and oppose Imran’s every move, but even PTI’s coalition partners such as the Balochistan National Party (BNP) have expressed their displeasure. However, it must be understood that Imran is not giving blanket citizenship to all Afghans and Bengalis living in Pakistan overnight. Rather, he is making a point that something needs to be done about them. Either repatriate all of them – which would be a very ambitious undertaking – or grant them citizenship. Do commit to one action however, because this problem cannot be allowed to linger on forever. Opponents of this move make a very valid point that Pakistan has the largest refugee population in the world. At the same time, it barely has enough resources to provide for its own citizens, let alone refugees. What they overlook is that Pakistan is not a social welfare state, where these newly minted citizens would claim a lot of benefits. Rather, enveloping them in the legal economy and tax bracket would be beneficial for the country’s marginalised economy. Naysayers also cite the example of monarchies such as Saudi Arabia and the UAE, where a person is never granted citizenship, even if they are born there or have lived there for generations. However, the question we must ask ourselves is: do we want to emulate regressive monarchies, or look to the example of liberal and progressive countries? It is easy to say that Imran made a naive statement on the topic of refugees and then backtracked from it. However, it is not that he has made yet another U-turn. Rather, it is the juxtaposition of idealism and realism within his mind, evident in almost every other facet of his decision-making – even when it comes to India. He initially took a warm and positive tone towards India. However, when he understood what the ground dynamics are vis-a-vis India, and that the current India government tends to rebuff any positive behaviour from Pakistan’s side, he sent out a nasty tweet. Pakistan is a refugee country; a refuge for marginalised Muslims in the Indian subcontinent. Around one in five Pakistanis in 1947 was a refugee, with the country’s first two prime ministers being immigrants. Pakistani law allows for citizenship for all those born in the country, except for children of foreign diplomats, enemy aliens, and those who migrated away from territories that became Pakistan after Partition. Thus, Afghans and Bengalis born here should definitely be given citizenship in principle, but it’s an idea which will take ages to implement, because Pakistan’s current political ground realities will not allow for this to happen. In the meantime, we should at least register all the unregistered Afghan and Bengali refugees, so at the very least we know the extent of the refugee problem we are dealing with. We never ever shall forget that a very large portion of Pakistani population consists of refugees who entered Pakistan during and after the horrible holocaust of 1947! Granting citizenship to our fellow citizens with roots in East Pakistan (Bangladesh) or Afghanistan, Pakistan is not doing them any special favour as it their self-understood fundamental right!